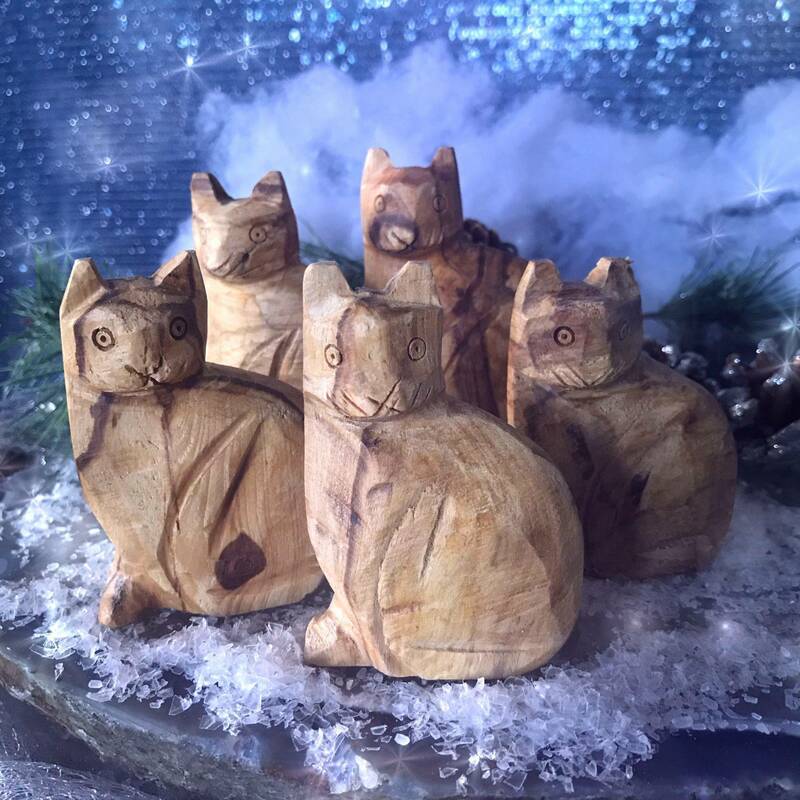 How precious are these Palo Santo Cats? Palo Santo, a sacred wood from Peru, has been used as indigenous medicine by shaman and medicine people of South America for thousands of years. 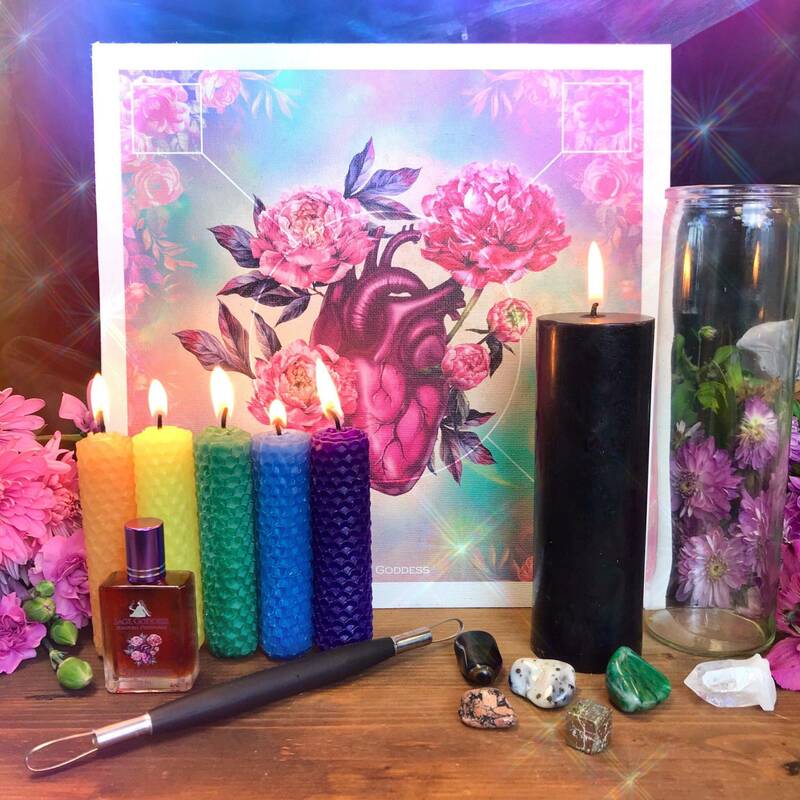 I use Palo Santo all the time, especially when anyone in my home is sick, or whenever I’m doing healing work for clients. 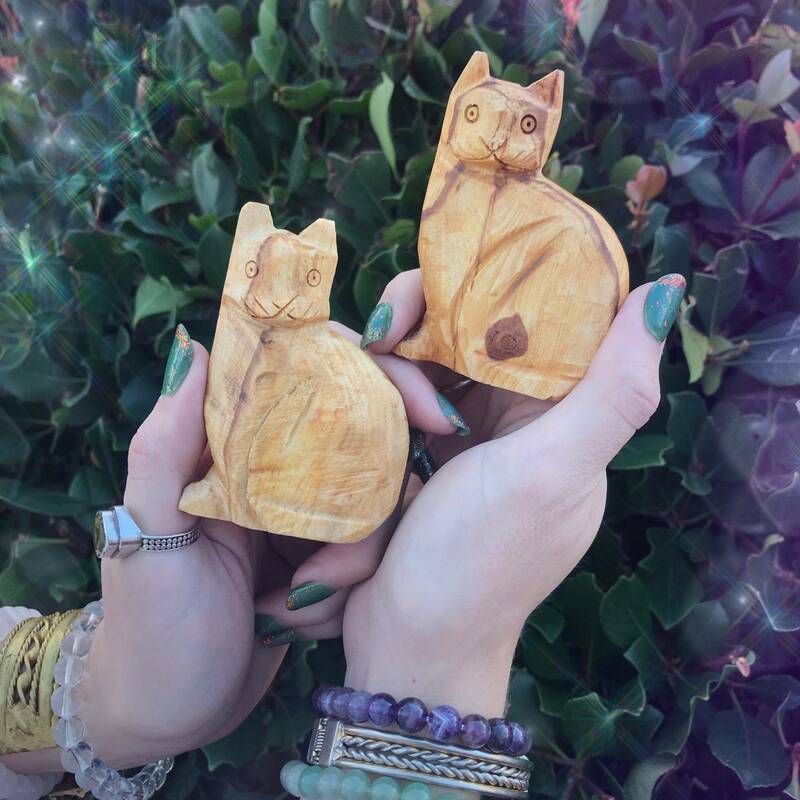 These Palo Santo Cats will bring wonderful energies of purification, illumination, patience, and imagination to your practice – and I know that you’ll adore them just as much as I do. I absolutely adore Palo Santo. 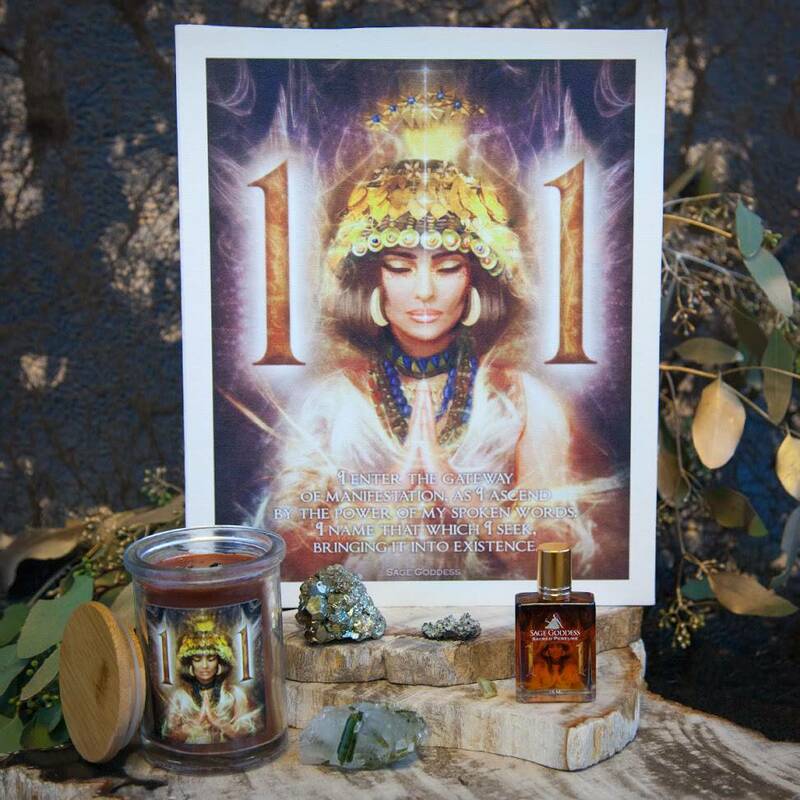 Its essence is very different from that of white sage – the scent is sweeter, richer, and more mellow. It’s also a lighter burn. BUT these Palo Santo Cats are not meant to be burned! 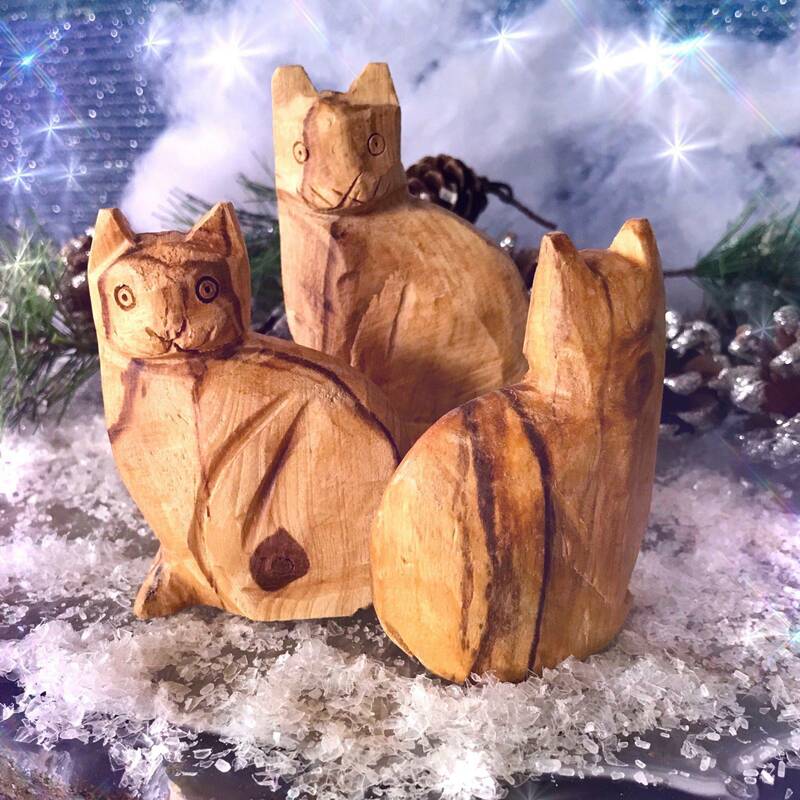 They carry the magic of the cat totem in combination with the medicinal potency of Palo Santo, to make for a gorgeous adornment for your sacred space. One way to use your Palo Santo Cat without damaging your totem is to place it in the shower, in an area that is not in direct contact with the water. The steam from your shower will diffuse the oils and essences within this wood carving, surrounding you with a medicinal vapor. The cat spirit has many meanings. Cats largely symbolize balance between dualities. This can mean equalizing light and dark, feminine and masculine, inner and outer, action and rest, doing and being, and so forth. The cat also represents patience, the spirit of adventure, curiosity, independence, and connection with self. 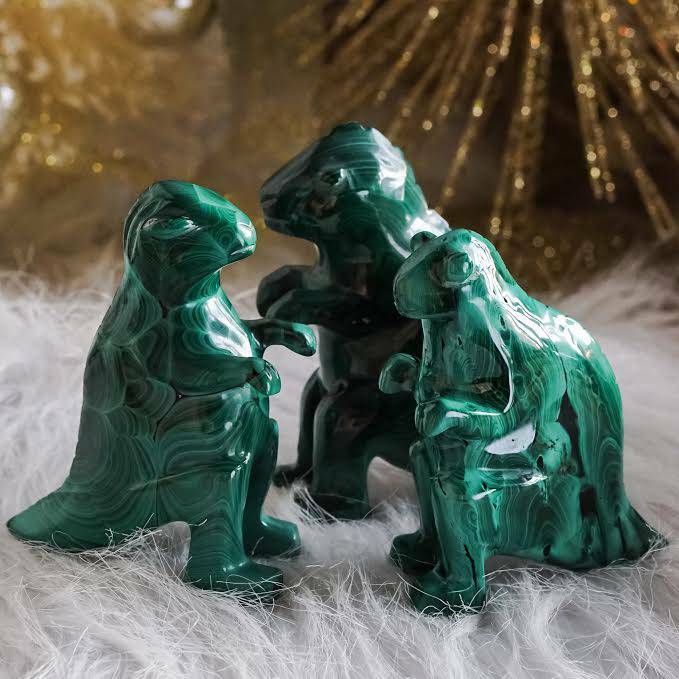 If the cat is your spirit animal, work with one of these to send major feline healing power throughout your sacred space! This listing is for one (1) Palo Santo Cat (about 3”). Yours will arrive lovingly parceled for your enjoyment and delight.